After the initial honeymoon euphoria, we were whacked by real life. We were clearly at odds with odds. It was a monumental task to develop a 32-bit browser on a beta version of Windows 95. Internet connectivity in India was pathetic, to put mildly. How do you develop a browser when your bandwidth is 2400 bps dialup, which times out every 2 minutes?! And no ordinary browser, I may add here. To give you an essence of our arrogance: our direct competition was the billion$ Netscape that literally had an army of world’s leading IT professionals headed by whiz-kid Marc Andreessen—the inventor of Mosaic, world’s first browser! And what did Cyberage have? 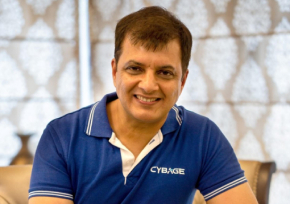 A mediocre team of 4 led by PICT alumni Rahul Phadtare, who incidentally had flunked in his 3rd year, was practically jobless, and so had settled on Cyberage. A hundred and eighty long days and longer nightmares later….somehow we did it! CyberAge Raider was ready to take on the world, in a true philmy ishtyle! They say winners don’t do different things, but do things “differently”. I agree. However, it is also true that there is one thing that all winners do “same” as well. And that one thing is toiling! Slogging and grinding like there is no tomorrow. You have to be incredibly lucky to be able to substitute incredible luck for hard work! So if you are aspiring to be an entrepreneur, the first honest question you need to examine—‘am I built for extreme endurance?’ One would do well to remember that if and when success follows, it’s usually after a sleepless bed of thorns! Last passage in italics very inspirational..! Excellent choice of words here – humor and substance at their best! Enjoyed reading your blog and will certainly catch up for more. Your blog, in one word is – Inspirational!